Eddie Vedder is not only the guitarist of Pearl Jam. He has promoted the ukulele a lot in recent years. Definitely check out his album “Ukulele Songs”, if you haven’t already done so. His song rise is from the soundtrack of “Into the Wild”; a movie I highly recommend you to check out as well. The original is heavily based on acoustic guitar with a mandolin playing riffs and parts of the melody. Nevertheless, it is quite easy to arrange the song for ukulele and still keep the original key of G major. I’ve put together two different videos. 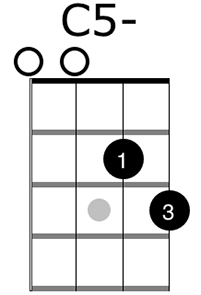 The first one shows you the basic strumming pattern and the small characteristic riff over the C major chord. 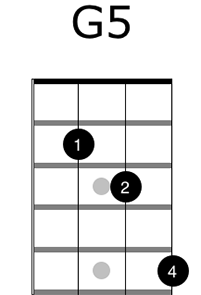 The basic ukulele strumming pattern for the song is in 6/8. Bar 1 and 2 are just G major. That’s also the part where you sing along (“Such is the way of the world, you can never know….”). Now, the second video is all about an advanced ukulele version. This ukulele version of “Rise” is a full-blown arrangement where the strumming pattern is combined with the actual melody of the song. The melody of “Rise” starts on the added 9 over G major, the a. Incorporate this melody note by starting out on Gadd9 and hammering on the b of G major with your second finger. The video shows you a good way of practicing this hammer-on, as it can be a bit tricky on ukulele at first. 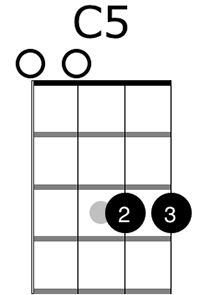 Then the melody is b – a – g, which is incorporated into the three downstrokes in bar 1: G, Gadd9 and G5 (the melody tone is on the e-string and the open g-string!). You wan to mute the a-string completely for the G5. I personally tilt my hand, so I mute the a string with my third finger, which is fretting the g on the e-string. 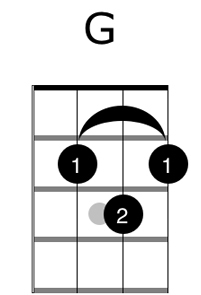 The melody picks up again in bar 2 on the three down strokes and alternates between g, a and g, before going to the open e-string in bar 3. 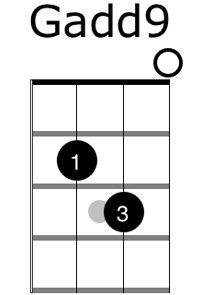 Insert the riff over C here on bars 3 and 4. Then repeat bar 1 to 4 for the second half of the verse. 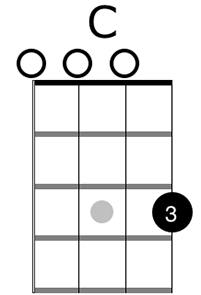 The bridge starts out with a regular D major and moves to an inversion of D major with a high d on top. This is, again, because we want to incorporate the melody of the song. 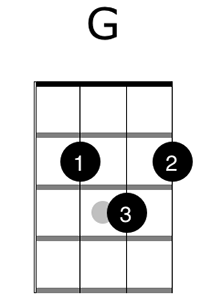 The variation of G5 in bar 9 also has the high d on top. 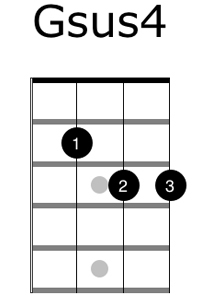 And then the melody moves down from d to c# to b (I fret G major as a barre chord, so I don’t have to change my fretting hand position completely for this one strum). 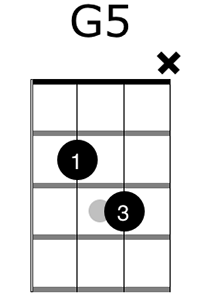 There are a few tricky chords and chord changes in this small part. 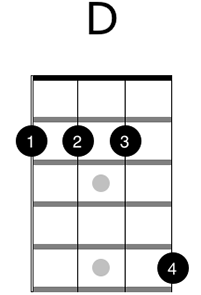 Go to the video to see how to change the chords efficiently. Then add the riff over C for bars 10 and 11. Repeat bars 8 to 11 and then go back to the verse. Check out my book on Ukulele Strumming with over 100 notated audio examples and 8 HD Videos! It can be helpful to think down, down-up, down-up, down, down-up, down-up. Let’s practice that together, playing the G major chord. The verse consists of 2 bars of G major, and 2 bars of C major. On the C major you can do a small riff. The first half of the first bar is just a regular C major. The second half is a C major with a diminished 5th. Then go to C5 for half a bar, and then go back to C with a diminished 5th. Okay, let’s go to the bridge then. 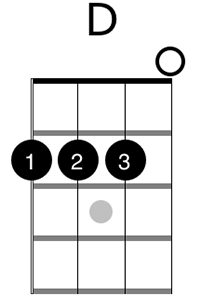 It’s 1 bar of D major and 1 bar of G major, then you can do the C thing again. Play the whole section twice before you go back to the verse. Great. You’ve just completed the easy tutorial for Eddie Vedder’s Rise from the soundtrack of Into the Wild. Check out the advanced version and learn how to incorporate the melody into your strumming pattern. Bye now!